Connecting Pinterest to your WordPress blog can really help both drive traffic to your site and also grow your Pinterest followers. There are many different ways in which you can connect Pinterest to your WordPress website. The most common way would be adding buttons that allow your users to pin your images. Additionally, adding a social button or a Pinterest feed to your sidebar is also a good way to integrate the two platforms. One lesser known but extremely effective integration between Pinterest and WordPress is having your WordPress posts and images automatically pin when they are published. Did you even know that you could do that? In this guide, we’ve created the ultimate resource for connecting WordPress and Pinterest. We’re going to walk you through, step by step, each of the different ways to connect WordPress and Pinterest so that you can get more traffic and grow your following. Let’s first take a look at how to add a button to your WordPress website that allows your visitors to pin images that they see on your posts. With most Pinterest integrations for WordPress, we need to install a plugin. Luckily, there are a ton of really good plugins for Pinterest and WordPress. Starting off, let’s add a “Pin It” plugin to our site. This will add a button on every image that a user can click to pin the image. Here are WP Geeks, we’re busy building the ultimate Pinterest plugin for WordPress. It’s jam packed with features and includes a super intuitive interface for managing the plugin. Unfortunately, it’s not quite ready for release yet, we’ll be announcing the plugin shortly on our blog. Keep an eye out. In the meantime, we recommend that you install the Pinterest Pin It Button plugin from the WordPress.org plugin repository. Go ahead and download and install the plugin. Once installed, activate it. You’re now ready to move on the step 2. Now that the plugin is installed, we need to decide where and when to show it. Should you show it on pages, posts, custom post type? And should it only show on hover or permanently on every image? These are decisions that only you can make and will largely depend on the type of website you’re running. 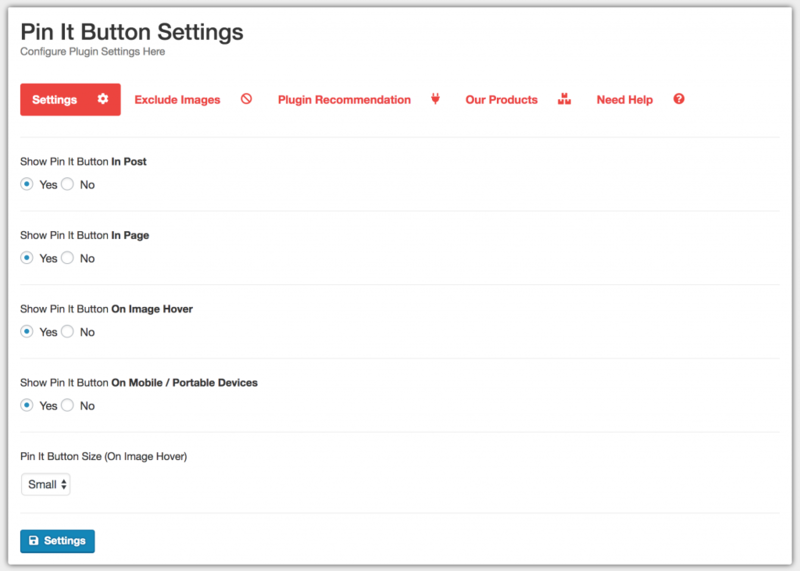 To configure the settings, navigate to “Pinterest PinIt Button” on the left hand side WP Admin menu. Click the link and you’ll be taken directly to the settings page. Configure the plugin as desired and make sure to save the changes. Everything should be setup and good to go now. You should now spend some time testing and making sure the button displays as you want it to. Navigate to a post which has images on it. Look out for the “Pin It” button overlay on the image. At the bottom of every post you should also see a button to be able to pin the actual post. Test that clicking on both these buttons actually pins the post and images to Pinterest. Working? Great! Now that we’ve included a Pin It button, look out for step by step instructions for adding a feed to your sidebar using a widget and to any post or page using a shortcode.